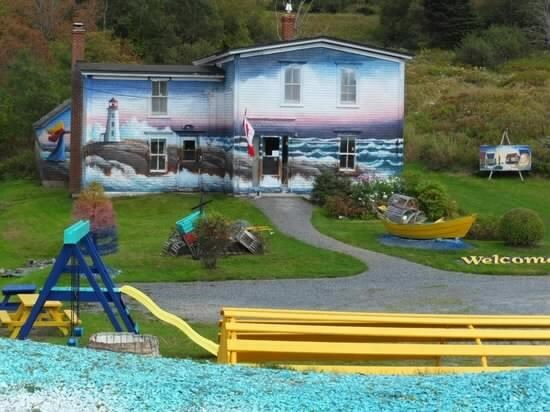 You cannot miss this unique house and yard on the way to Peggy's Cove. DON'T FORGET TO FAVORITE IT IF YOU LIKED IT. This is a cache good for trackables and trades. You might even get lucky and meet the author that lives there. This is in his front yard (house is a free museum) and you have owners permission to come anytime. Museum itself is closed Sat. but cache is in the yard, so just drive in and look. He would love you to.